King Mohammed VI of Morocco ordered the shipment of an urgent humanitarian aid to Mozambique where a massive flood destroyed swathes of lands leaving victims and considerable damage to fields and infrastructure. The 39 tons of aid is composed mainly of tents, blankets and foodstuff that will be carried by the Royal Armed Forces, the foreign ministry said in a statement. The gesture comes in response to international calls for support to Mozambique and falls in line with Morocco’s solidarity with African nations, the ministry said. The floods propelled by Cyclone Idai affected Mozambique mostly but also hit other southern African countries like Zimbabwe, and Malawi last week. The floods created an “inland ocean” near the Mozambique coastal city of Beira destroying homes and natural habitat. The United Nations Office for the Coordination of Humanitarian Affairs estimates that at least 242 people have died and some 1,500 have been injured while 65,000 people are living in shelters. More than 17,400 homes have been destroyed by the storm. Beira, a city with a population of 400,000, continues to be without power and is only accessible by air and sea. 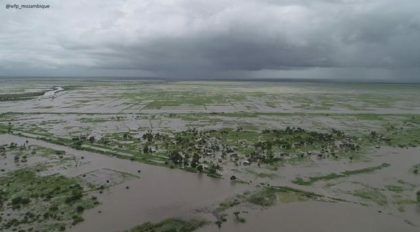 Humanitarian agencies have raised alerts over hygiene and safe drinking water needs eight days after cyclone Idai lashed central Mozambique as some cholera cases are reported in Beira.